6cm hg x 3cm br: 1,5cm dik. 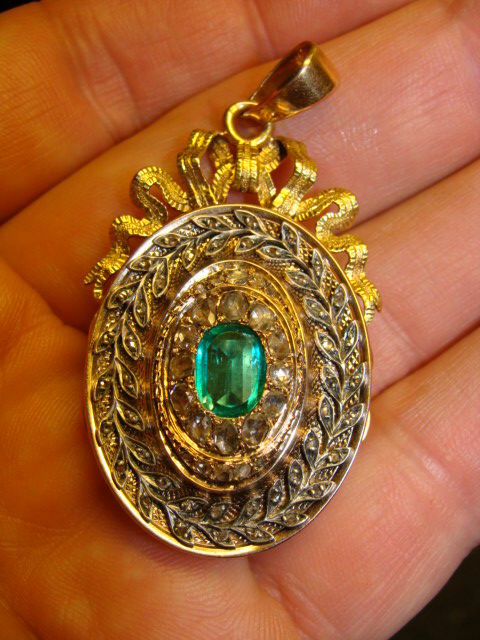 19th century antique gold medallion pendant with a 1.40 ct clear green emerald. 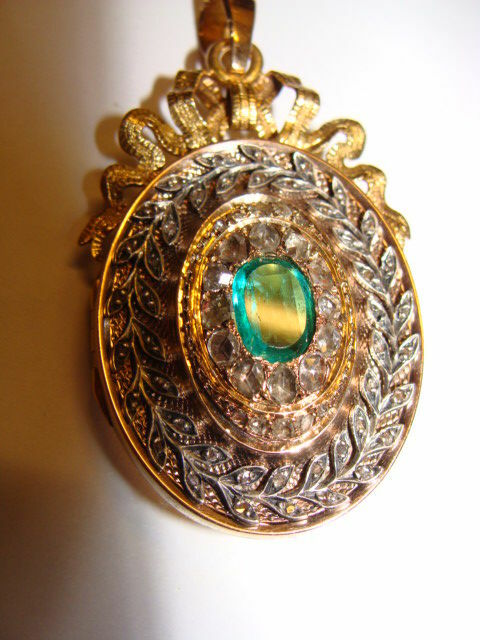 Around the emerald are large and small rose diamonds and different sized rose diamonds in white gold leaves; approx. 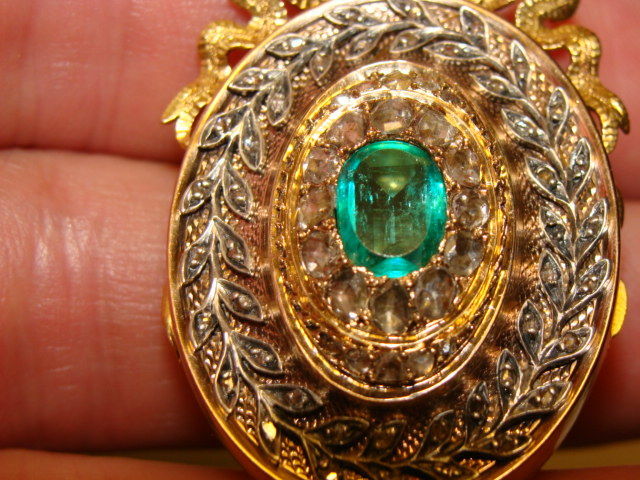 12 large rose cut diamonds around the green emerald and approx. 40 smaller rose cut diamonds set in white gold leaves, Belle Epoque style, France, circa: 1880/1890. 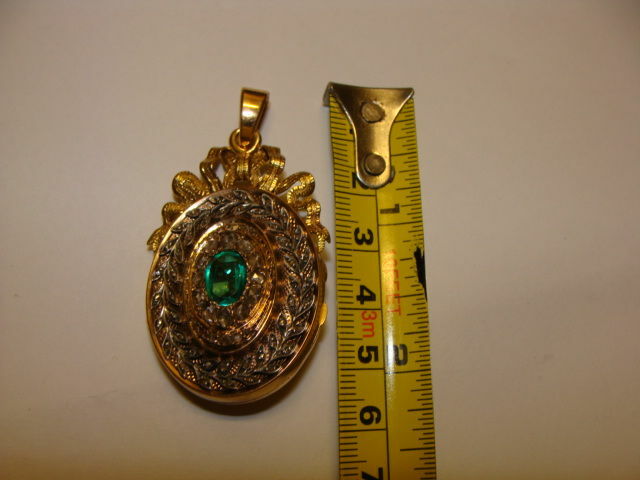 Gold pendant weighs approx. 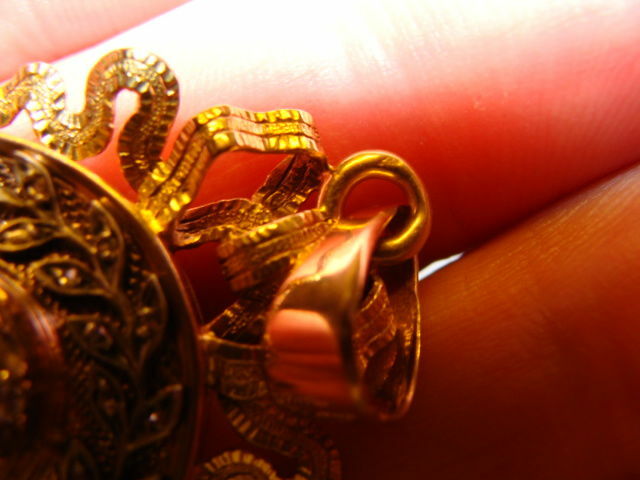 20 g and is approx. 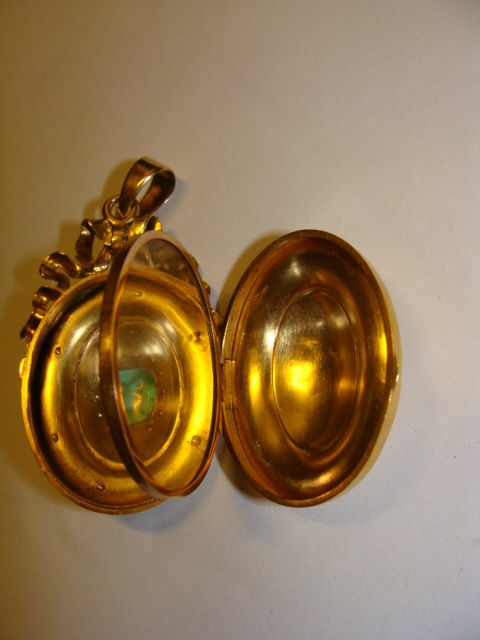 6 cm long x 3 cm wide and 1.5 cm thick. 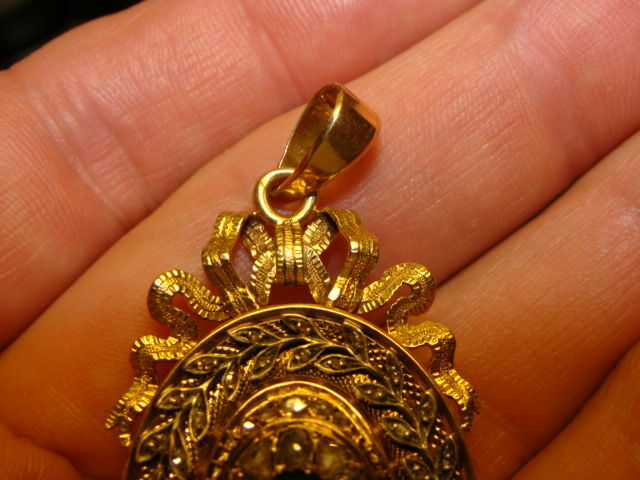 The inside with cut glass, 21.6 kt gold is marked in the fixed pendant eyelet with a barely legible hallmark. 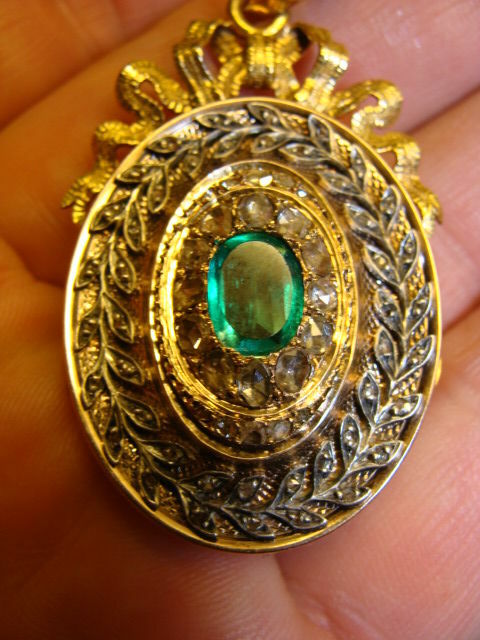 Has been on 'Kunst en Kitsch' (Antiques Roadshow) on 1 May 2017 in Scheveningen and has been appraised by Martijn Akkerman between €3,000 and €3,500. 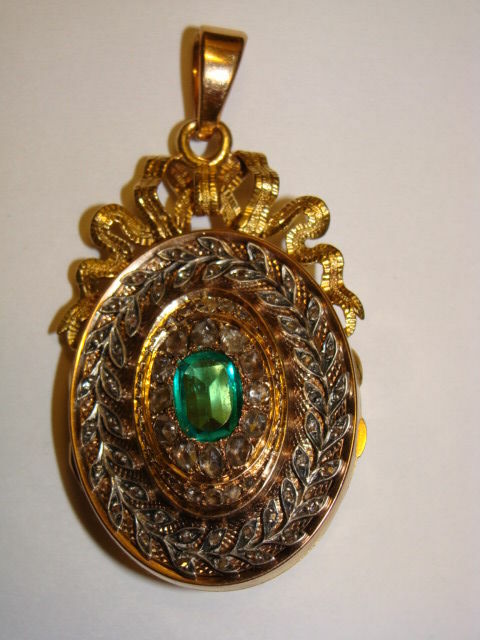 Very beautiful, exclusive item of jewellery, pristine. Alles in Ordnung, danke, gut gepackt! Vous pouvez également retirer ce lot chez le vendeur: Wateringen (ZH), Pays-Bas.